Hey readers, welcome back. Today I am going to present one more new interesting story. So read it and enjoy. 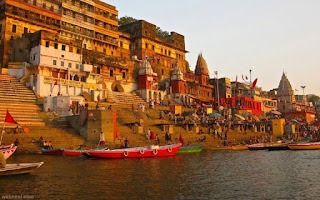 Ganga is also called as the Ganges, which is the most sacred river for Hindus. They worship her as Goddess. 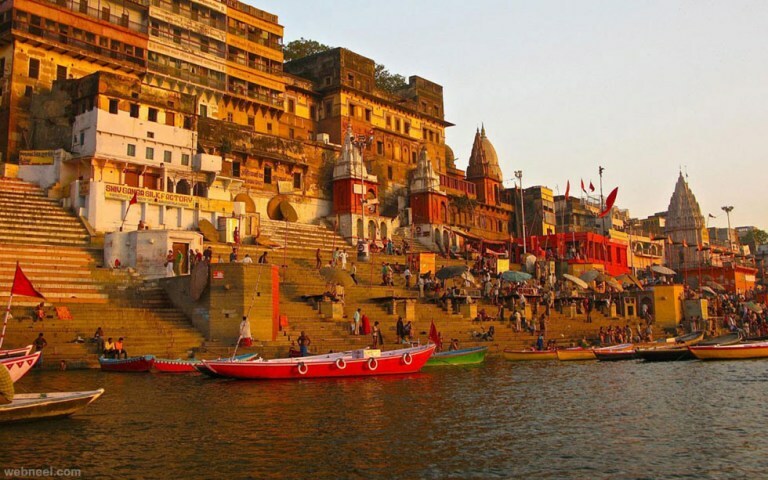 People will believe that bathing with Ganges water will remove all sins and will get a happy and good life. We all know Shiva Parvati are husband and wife nothing but god and goddess for us but so many people think like that Ganga is also the wife of Lord Shiva but that is not correct because Shiva never married Ganga because Santanu was the husband of Ganga. Ganga gave birth to 8 children. Among them, 8th child was Bhishma, the great warrior in Mahabharata. Now you will get one doubt if Ganga is not the wife of Shiva then "Why Ganga is on the head of Lord Shiva God." For this question, you need to read complete story to get the answer so let's go into the real story of Lord Shiva and Ganga history. Before going into the story I want to introduce what are the characters that we are going to discuss in this story. 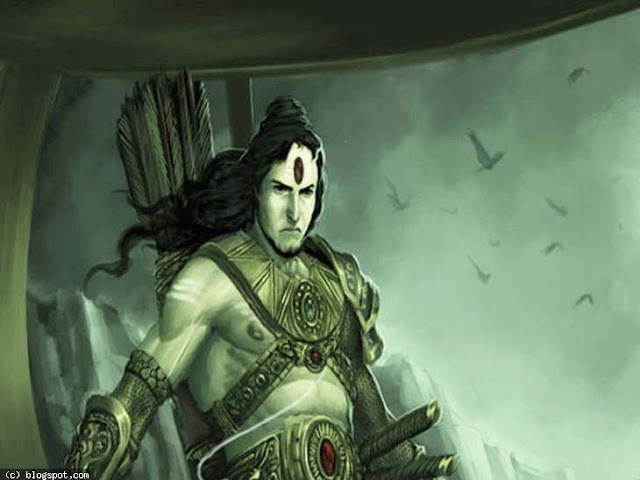 Once there lived a king named Sagara, who was the king of Suryavansa dynasty and forefather of Lord Rama. Sagara has two wives. From one wife he got 60,000 sons and from another wife, he got son name Asamanja. Asamanja's son name is Dilip. Dilip's son name is Bhagiratha. He decided to do Ashwamedha Yagya which is nothing but horse sacrifice to attain more power and glory. Lord Indra came to know about it and felt jealous about what results can Sagara get after completion of Yagya, so he wanted to steal that ritual horse. He successfully stole the horse and tied it the ashram of Sage Kapila and went away silently. Sagara came to know that horse was missing. Sagara ordered his 60,000 sons to go and search for a horse and fetch it for Yagya. They went on searching and finally, they found a horse in the ashram of Sage Kapila. They thought that Kapila has stolen that horse and started scolding Kapila who was in penance and they wreaked the penance of Sage Kapila. Sage Kapila opened his eyes with anger and he destroyed all the sons of Sagara into ashes. Sagara waited for so much of time but his sons did not return. So he said his grandson Anshuman to go search for his uncles. Anshuman went on searching for his uncles and found Sage Kapila and horse and asked him about his uncles. Sage Kapila told Anshuman what happened to his uncles and asked to forgive them and make their souls to attain heaven. But Sage Kapila said that their souls would only attain heaven when their ashes were touched and purified by Goddess Ganga. Anshuman returned sadly to his grandfather and told what happened. Sagara felt very sad and after him, he made his grandson Anshuman as King. Ashes of 60,000 kings were left there only in the ashram. Anshuman was ruling kingdom well and after Anshuman, his son ruled the kingdom. Dilip got a son named Bhagiratha. Bhagiratha once came to know how his 60,000 forefathers died. He wanted to make their souls to attain heaven so he wanted to bring Ganga to earth. Bhagiratha made a great penance to Lord Brahma and requested to send Ganga to earth. Brahma agreed his request and ordered to go on to earth but Lord Brahma told to Anshuman that if Ganga came to earth with so much of intensity and speed then the earth will not able to hold Ganga. Brahma advised Bhagiratha to take the help of Lord Shiva to control the velocity of Ganga on earth so Bagiratha again started penance for Lord Shiva and requested Lord Shiva to help him to bring Ganga on to earth. Shiva used his matted locks of hair to make a way for Ganga to enter on earth. 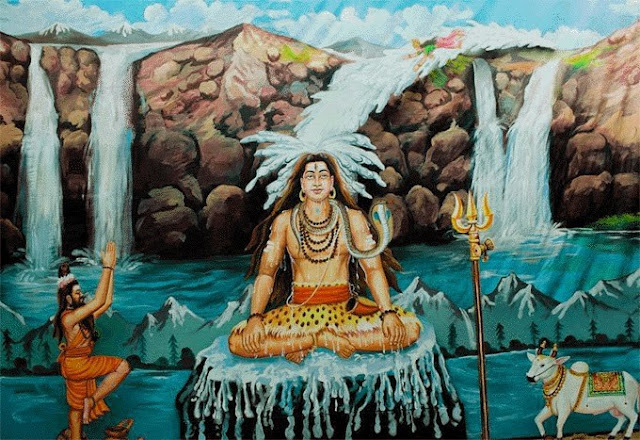 Ganga was very arrogant and proud and she tried to drown Lord Shiva God but mighty Lord Shiva held all Ganga easily tied on his head and his tie made her helpless to came out from his head. Then Lord Shiva slowly released Ganga on to earth through his locks. Ganga entered to earth through the locks of Shiva and named as "ShivaGanga" because she came on to earth from the hair locks of Lord Shiva. Ganga followed Bhagiratha who was running towards the souls of his forefathers. Ganga also named as "Bhagirathi" because she ran after and followed Bhagiratha. Ganga while going on the way to the souls of 60,000 kings, crossed Rushi Jahnu ashram. At that time Jahnu was in penance. Ganga wreaked the fields of the ashram and destroyed Jahnu penance. Rushi Jahnu with anger swallowed all Ganga into his mouth. Bhagiratha requested Jahnu to release her then Jahnu released her through his ear, then Ganga was named as "Jahnavi" because she came from Rushi Jahnu's ear. Then Ganga passed and purified the souls of 60,000 kings with her water and made their souls to attain heaven. In this way, Bhagiratha brought Ganga to earth and made his forefathers to attain heaven. This is also called "Bhagiratha Prayatna" because he brought Ganga on to earth with great penance and dedication and hard work and because of his love for his ancestors. From Ganga: Don't be arrogant and proud about yourself. From Bhagiratha: Anything can be achieved if you try with hard work and dedication. From 60,000 kings: Never do anything, until you came to know real truth otherwise you can get severe problems. This is all the about the story of Shiva God and Ganga. Hope you enjoyed it and increased your mythological knowledge. Read Lord Shiva books if you want to learn more about Lord Siva God.